A firm bill. Like a duck’s bill. Stewart Lee , who does this kind of thing. All are top notch. Rumour has it that Rhodes will be DJing, which sounds like good news for fans of Thin Lizzy and early Sugababes B-sides. It’s a smashing venue – get there on time for a decent seat. Official details live here. This is Rhodes’ second and final public appearance of 2013. 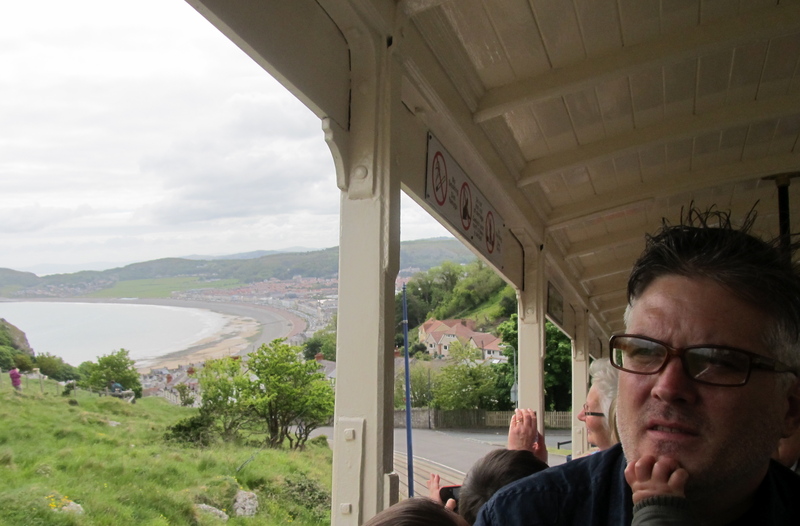 He’s been keeping a low profile lately, but this recent photograph appears to show him doing a writerly chin-stroke on a tram in Llandudno. This entry was tagged Edinburgh Book Festival, Jura Unbound, Neil Forsyth, Richard James, Stewart Lee. Bookmark the permalink.